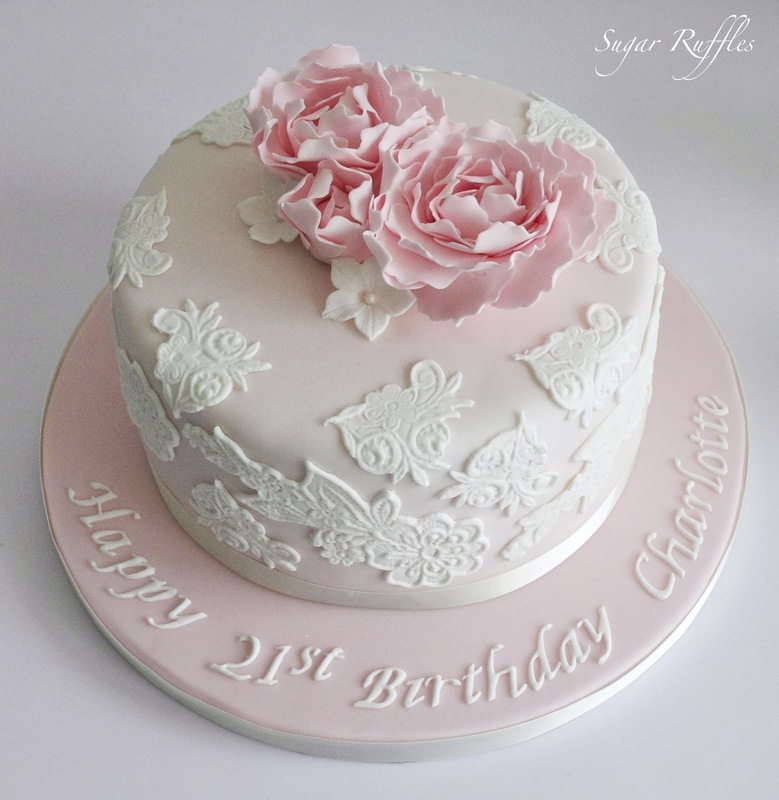 A pale pink 21st birthday cake with lace and pink peonies. Lemon sponge with zesty lemon syrup, layered with lemon buttercream and lemon curd. 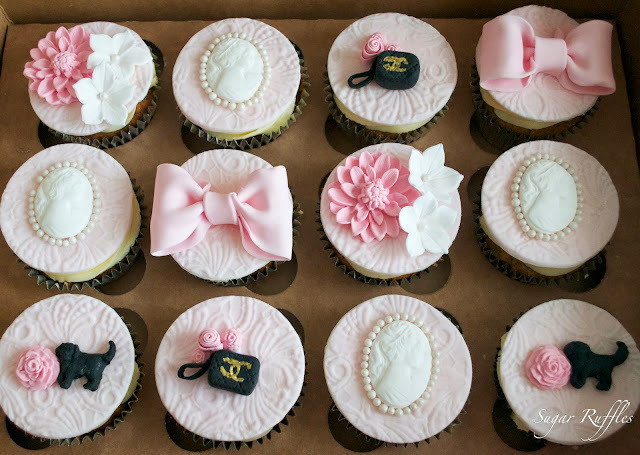 Matching vintage style carrot cake cupcakes with a special request to incorporate black labradors and Chanel bags. The vintage style cupcakes are completely adorable!! My best friend is having a vintage style bridal party this upcoming September and I'm sure she would love this idea!